Our telephone is answered by our office staff Monday thru Friday from 8:00 a.m. to 5:00 p.m. We have full time Registered Nurses on staff to take	your calls and assist you with any medical questions or concerns you may have. If you need to reach us after hours our answering service can contact the doctor on call for any urgent matters. If you have an emergency, go directly to the nearest hospital Emergency Room. We have scheduled appointments Monday thru Friday at all three of our locations. When you call to make an appointment please specify which doctor	and which location you would like your appointment. We will always try to schedule you with the doctor of your choice. When it is necessary	for you to see another doctor in our group, our team approach assures that you will have continuity of care. Because a major part of our practice consists of surgery and emergencies, we appreciate your understanding when it may be necessary to reschedule your	appointment. If for some reason you are unable to keep your appointment, be sure to call and cancel or reschedule. If you do not show up for your appointment	and never called and cancelled, we may NOT schedule another appointment for you. We ask that you notify us as soon as possible so we have ample	time to accommodate another patient. Failure to notify us may incur a fee charged directly to you. If you are a new patient to our practice, at the time you make your appointment, we will mail you a brochure and a packet of information for you to	complete and bring with you on the day of your appointment. 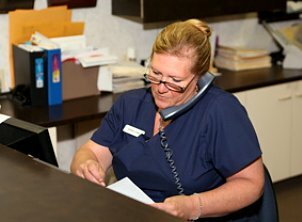 Our medical staff will then review this paperwork with you and enter	the information into our Electronic Medical Record. If this paperwork is completed when you arrive, it will make the admission process more efficient and expedite your appointment. All your medical information is now saved in our Electronic Medical Record. Copies of any records, blood work and /or studies related to your problem from your primary care	or referring physician. When you arrive for your follow-up appointment, Our medical staff will review and update your medical information that we have on record. List of your medications and inform the office of any changes in your medications since your last visit. Inform the office if you have been hospitalized or had any out patient surgery or procedure since your last visit. Review your medications and determine if you require any refills on your medications which we have prescribed. Films from testing that the doctor has asked for you to bring with you to your appointment. Insurance card (be prepared to pay co-payment or deductible amount that may be due). Give a urine sample, a urinalysis will be performed at each visit. A Urinalysis will be performed at your appointment. Please be prepared to give a urine sample at the time of your appointment. We strive to keep on schedule and apologize when our appointments to see the doctor are delayed due to emergencies and other patient care issues. We do our best to accommodate ALL of our patients and your understanding is greatly appreciated. Please review your medications before you come for your appointment. If you need a refill on a medication that we have prescribed, you can save	time and possible delays by having it refilled at the time of your appointment. We utilize electronic prescriptions, which means your medication orders are directly transmitted to your pharmacy. Your medication refill requests also arrive at our office electronically, making it possible, to authorize refills in a more timely fashion. Instant checks on drug interactions, dosage level and patient -specific factors including prior	adverse reactions. Patient information protected by privacy and security measures including prescriber authentication. We will contact you if your results are abnormal. Please note that it takes a week to ten days for us to receive and evaluate some of these	results. We are able to perform many urologic anatomic pathology readings on site. 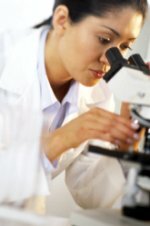 We have two pathologists on staff who work directly with	Bostwick Laboratories (a specialty urologic Laboratory) to assure the most accurate results. We ask that you bring your insurance card and be prepared to pay your co-payment, deductible or uninsured amounts at the time of your	appointment. Many insurance companies now have pre-authorization requirements that we must complete before the doctor can see you. If we do	not have a copy of your insurance card, we may need to reschedule your appointment. If you do not have insurance, please be sure to speak	with our billing department before hand to make financial arrangements. All charges are your responsibility. We are participating physicians with most managed care plans and with all Medicare HMO's. We will	submit your claims promptly and bill you for any balance due. If you need to make any financial arrangements, please contact our billing	department at 330-758-9787 Option #4 and they will be glad to work with you. We accept Mastercard, Visa, Discover, American Express, Personal	check and cash.